Financial Costs of Hurricane Sandy | The Voss Law Firm, P.C. As reports of the storm damage from Hurricane Sandy come flooding in, we’re finally starting to be able to put together a picture of the damage caused by this unusual superstorm. While it will be years before the full tally of the storm’s cost can be calculated, the disaster modeling company EQECAT has put together an updated tally that puts Hurricane Sandy in the top five costliest U.S. catastrophes ever, firmly in number four. Before Hurricane Sandy struck the Eastern Seaboard on Monday, EQECAT predicted an estimated $20 billion in property and economic losses because of the storm. Sadly, that number now seems wildly conservative. EQECAT has revised their estimate up to $50 billion in economic losses. Unfortunately, EQECAT further estimates that only about $20 billion of that total is going to be insured losses. The remaining $30 billion in damage will be uninsured. Residents and businesses must rely on federal handouts, or simply pay for the damage out-of-pocket in the wake of this massive storm. To put things into perspective, if the Hurricane Sandy damage comes in at the full $50 billion - or higher - that makes this storm the fourth-costliest U.S. catastrophe ever. It’s behind only Hurricane Katrina in 2005, the September 11, 2001 attacks, and Hurricane Andrew in 1992. For comparison, damages from Hurricane Katrina totaled around $135 billion. The storm was massive, and caused serious infrastructural damage to New Orleans - damage that still impacts the city today. Thousands, of not tens of thousands, of New Orleans residents were permanently displaced by Katrina. Only $16.2 billion was paid out to Hurricane Katrina victims. In terms of insured losses, Sandy could be even higher than Katrina. 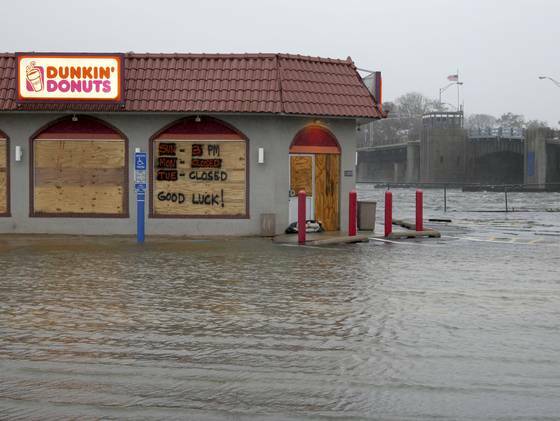 This is bad news for the people who have been impacted by Hurricane Sandy. Insurers will be doing everything they can to minimize the payouts, so it’s important for people to thoroughly document their damage and stand firm on what sort of settlement they’re willing to accept from insurers. If you’re having trouble with your insurance claim, visit us at DeniedClaim.com for help.